The overall IGF Mobile winner will be awarded at the IGF Awards Ceremony, which precedes the Game Developers Choice Awards on March 11th, 2010. Both the IGF Awards Ceremony and the Game Developers Choice Awards are part of the 2010 Game Developers Conference, which takes place in San Francisco's Moscone Center in March. IGF Mobile submissions are now being accepted at the competition's official website through December 1, 2009; finalists will be announced in January 2010, and will each receive one pass to attend the 2010 Game Developers Conference. Finalists will compete for $5,000 in prizes, including notable awards for design, art, and technology innovation in mobile game development. This year, winners in each category -- with the exception of 'Best Game', will be announced before the show, on February 8th, 2010. Each category winner will receive $500 in spending money to come to the 2010 Game Developers Conference in March 2010 and showcase their mobile game. The five category winners will exhibit their games in a special area of the main IGF Pavilion. 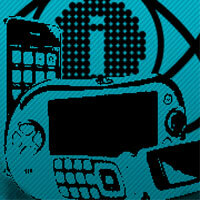 The winners will then compete for the coveted IGF Mobile Best Game award, worth $2,500. The prize is presented on stage during the main Independent Games Festival Awards, preceding the Game Developers Choice Awards ceremony on March 11th, 2010. In addition, the winners in each category can take part in an IGF Mobile Finalist Showcase at GDC10, a session during which the five IGF Mobile main prize finalists will present their mobile games to the audience. For a complete list of IGF Mobile 2010 information, please visit IGFMobile.com.